Are you a small business owner looking to save some money on your taxes? 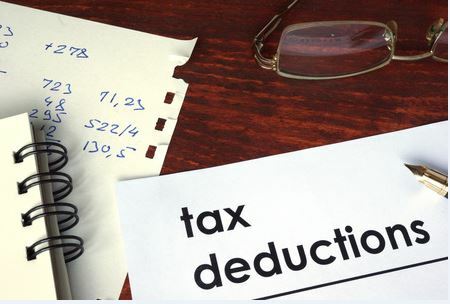 All small business owners want to take whatever steps they can to keep their costs as low as possible, and one of the best ways to do that as the end of the year approaches is to make sure your organization is taking advantage of the Section 179 deduction regulations that have been established by the IRS. These regulations were first created to give small business owners tax relief when they decide to make investments in capital, and it can be very beneficial for those companies and contractors looking to add heavy-duty equipment to their existing fleets at the end of 2016. The Section 179 regulations can be applied directly to the purchase of commercial trucks, heavy-duty construction equipment and more. They will allow you to buy these vehicles at the end of a year and then write off a portion of the vehicle’s depreciation and interest over time on an accelerated schedule. Section 179 also allows small business owners the option of writing off the full value of a vehicle for the year that it is put into service, even though a business hasn’t necessarily even started to pay down the balance owed on the equipment yet. Section 179 will provide the business with a big tax break once April 15 rolls around and give your company access to a new or used piece of equipment that can be utilized to further the business. It’s a win/win situation all around, and you will find that you will typically save a significant amount of money if you take advantage of the Section 179 regulations. Learn more about how Section 179 works by reviewing the information on Section179.org, a resource page dedicated to helping businesses understand the benefits of the tax program. If you decide that you want to use the tax benefits that are provided to you by the IRS, you should consider checking out the large selection of equipment that we have in stock at Rackers Equipment. From primary crushers and cranes to graders and trucks, our large selection of heavy equipment and machinery is full of new and used options that you can use to grow your company’s capabilities while also taking full advantage of the Section 179 benefit. Visit our location in Jefferson City, Missouri today to see the inventory that we currently have available or call us at 573-635-8700 to get help finding the right equipment for your business.